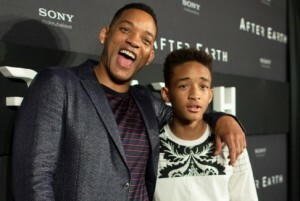 Will and Jaden Smith’sÂ After Earth directed by M Night Shyamalan isn’t doing as well as expected its debut weekend, according to Deadline. The movie’s sales have fallen behind a drama about magic which stars Morgan Freeman called Now You See Me, which overtook After Earth on Friday and “should stay #2 all weekend.” Fast and Furious 6 is number 1 at the box office this weekend. After Earth opened toÂ $9.8M Friday (including $1M from 9 PM Thursday late shows and Friday midnights)Â forÂ a $27.2MÂ weekend, way less than the high $30sM to low $40sM Sony was predicting.